A high-quality science education provides the foundations for understanding the world. 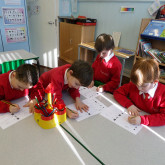 Science has changed our lives and is vital to the world’s future prosperity, and all pupils will be taught essential aspects of the knowledge, methods, processes and uses of science. 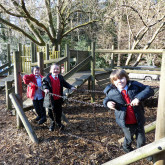 Through building up a body of key foundational knowledge and concepts, pupils will be encouraged to recognise the power of rational explanation and develop a sense of excitement and curiosity about natural phenomena. They should be encouraged to understand how science can be used to explain what is occurring, predict how things will behave, and analyse the causes for them. are equipped with the scientific knowledge and vocabulary required to understand the uses and implications of science, today and for the future. 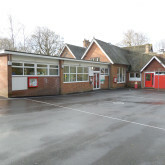 To find out more about how to join our school please click above. 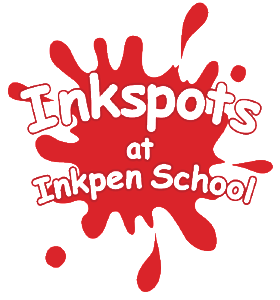 For useful information to assist you and your child at Inkpen please click above. 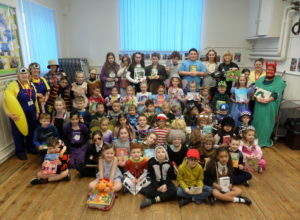 The whole school took part in World book day and some wonderful costumes and characters were evident around the school, even the teachers!! 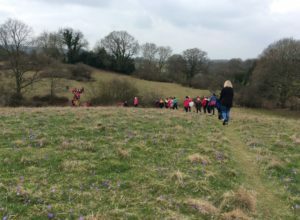 The whole school took a walk up to the crocus fields at Pottery Lane Inkpen to enjoy the rare beauty of Inkpen’s very unusual nature reserve, with over 400,000 crocus’s.